The Milwaukee Underground Film Festival is a student-run, international film festival dedicated to showcasing contemporary works of film and video that innovate in form, technique, and content. M.U.F.F. is a juried event interested in presenting the best in artistic, experimental, original, humorous, political and visionary film and video work. The Milwaukee Underground Film Festival is a student run film festival devoted to showcasing independent, artist driven cinema. For nearly two decades we have been programming filmmakers that defy convention in an attempt to amplify unheard voices. Our festival celebrates the potential of cinema to imbue a community with excitement, critical discussion, and open-mindedness through the presentation of new artistic forms. The Milwaukee Underground Film Festival is now seeking submissions for the 2016 edition, running April 28 - May 1 at multiple venues in Milwaukee, WI. The Milwaukee Underground Film Festival is a student-run, international film festival dedicated to showcasing contemporary works of film and video that innovate in form, technique, and content. This annual event exhibits independent films from around the world. We are interested in publicly presenting the best in artistic, experimental, original, humorous, political and visionary film and video work. The Milwaukee Underground Film Festival is now seeking submissions for the 2014 edition, running May 1-4 at multiple venues in Milwaukee, WI. The Milwaukee Underground Film Festival is a student-run, international film festival dedicated to showcasing contemporary works of film and video that innovate in form, technique, and content. This annual event exhibits independent films from around the world. We are interested in publicly presenting the best in artistic, experimental, original, humorous, political and visionary film and video work. The Milwaukee Underground Film Festival is a nationally recognized non-profit student organization at the University of Wisconsin-Milwaukee. The Milwaukee Underground Film Festival is now seeking submissions for the 2013 edition, running May 3-5 at multiple venues in Milwaukee, WI. Entry form is available for download. Entry Fee: $10 per entry / $15 total for multiple entries ($5 per entry for Milwaukee County residents - not to exceed $15 for multiple entries). Entry fee waived for all international entries and for filmmakers who have exhibited their work in previous editions of MUFF. Multiple-projector/ expanded cinema/ installation proposals encouraged. 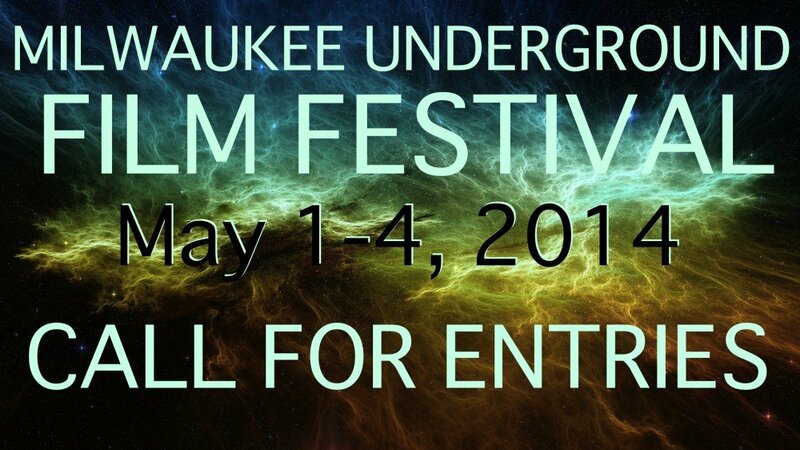 Entry fee is $10 ($5 for Milwaukee County residents, and free for international entries and makers who have screened in previous editions of M.U.F.F.). Acceptable formats for exhibition are S-8, 16mm, 35mm, DVcam, Mini-DV, and DVD. Additionally, multi-projector and media-based performance proposals are welcome. Mitchell Hall B70 / 3203 N. Downer Ave.